That is a tree near the place I live now. 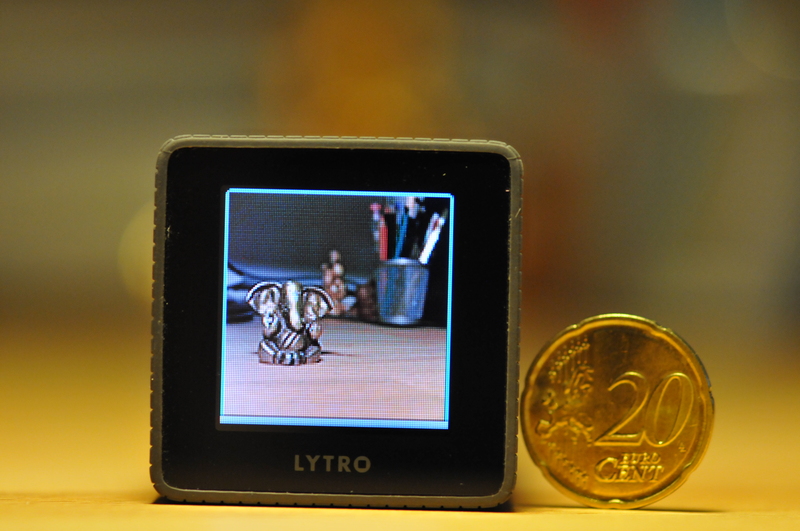 Such images show the strengths of the Lytro camera. In this image every focus plane can be adressed by clicking on it. Since the subject (the tree) is continuous the camera really spices up the image which, taken with an ordinary camera, would have been less exciting. To achieve the most dramatic effect and spectacular refocussing experiences, a far/close composition must be made. If all objects on the image are at roughly the same distance from the camera, the living picture won’t be a living picture anymore, because everything is already in focus. There is a possible downside on the technology. 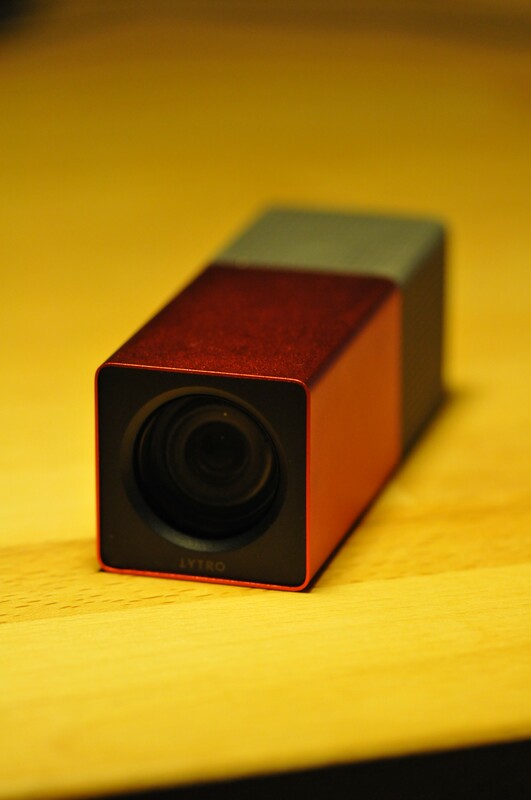 To experience the maximum refocussing effect, the Lytro users might be pushed towards making such far/near compositions. Pictures could get a little one-sided. Here refocussing is also nice, but is it really necessary ? This image does not really benefit from the refocussing-capability. You can focus on the house, but then you have, well, a house. 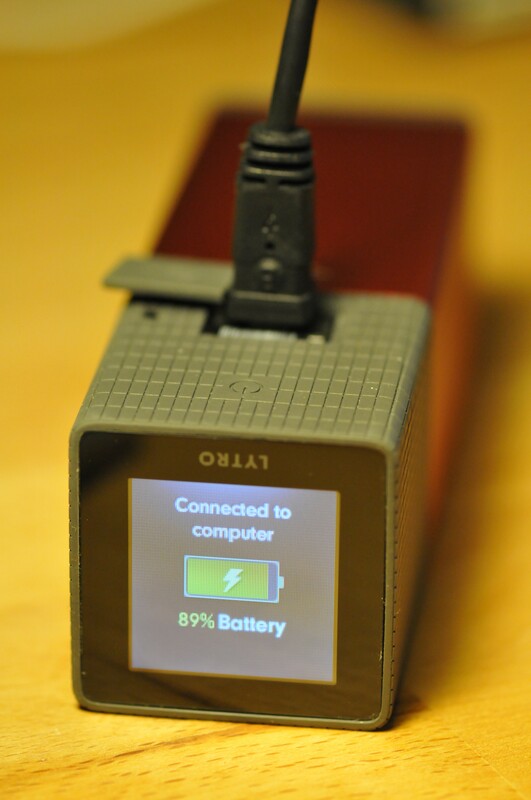 In this case a JPG snapshot (which you can do with the Lytro software) would have sufficed in my humble opinion). This on the other hand is an example where a picture really comes to life. Refocus on the miniature guys and discover something new everywhere you click. One of the first test shots I made with the Lytro. Typical far/near composition as mentioned above. 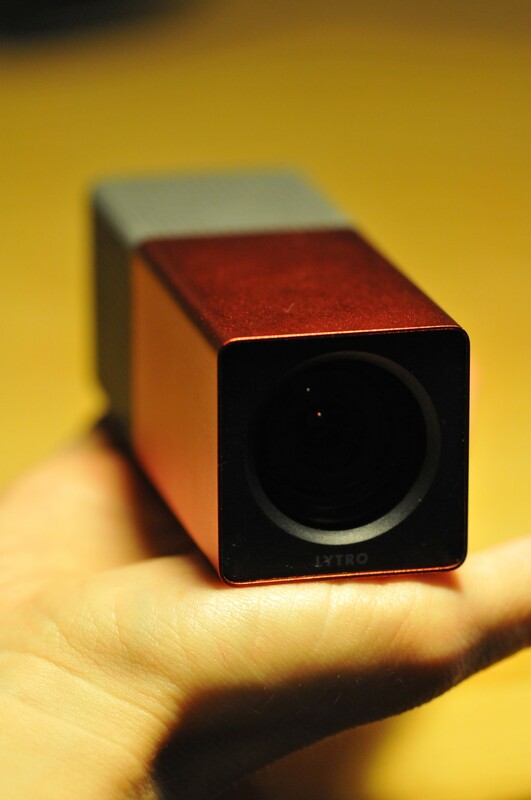 I would like to make a brief +/- evaluation of the Lytro camera and the technology. Keep in mind that this is my personal opinion, you are free to comment if you differ. New and innovative. 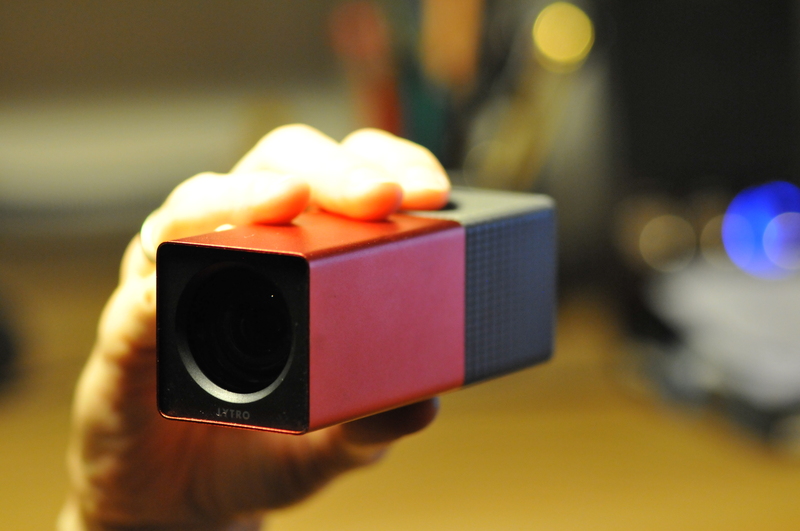 Sharing Lytro images lets you experience photography in a new way. The images become interactive and the viewer can do more than just looking at the images. Easy to use. Few buttons and a very simple menu. The camera is easy to use, it’s basically point-and-shoot. But beware, you still have to have enough light to achieve a sufficiently fast shutter speed. 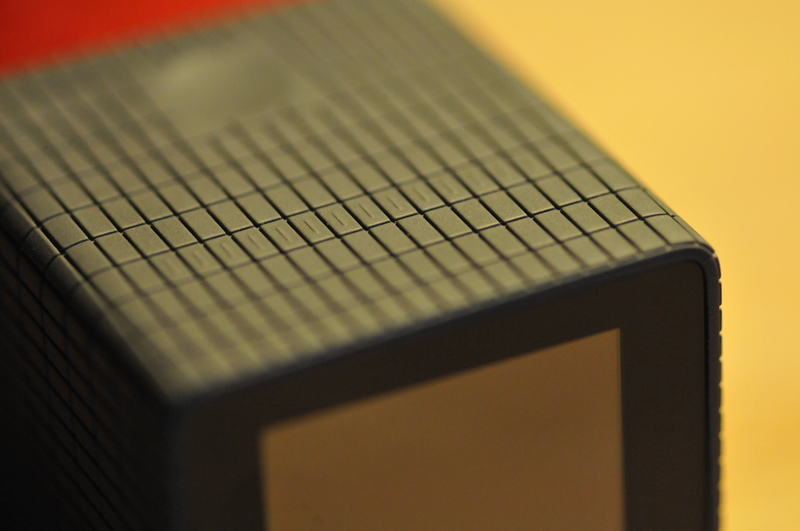 Even a Lytro can’t prevent unsharp images resulting from an unsteady camera. Limited sharing options. 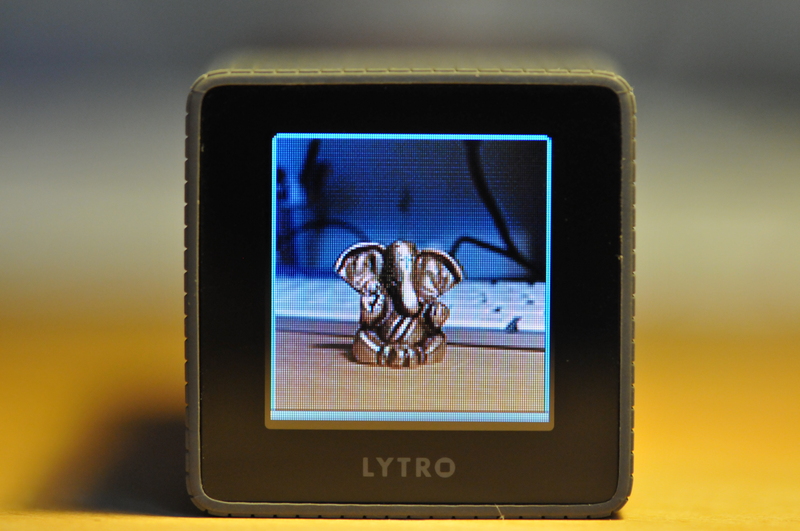 So far you can only upload and share your images on the Lytro webpage, Facebook, tumblr or embed them on a webpage. WordPress blogs are obviously supported, see above, but you have to manually copy/paste some code into the source of your post. Also you can make JPG snapshots and share those JPGs normally. 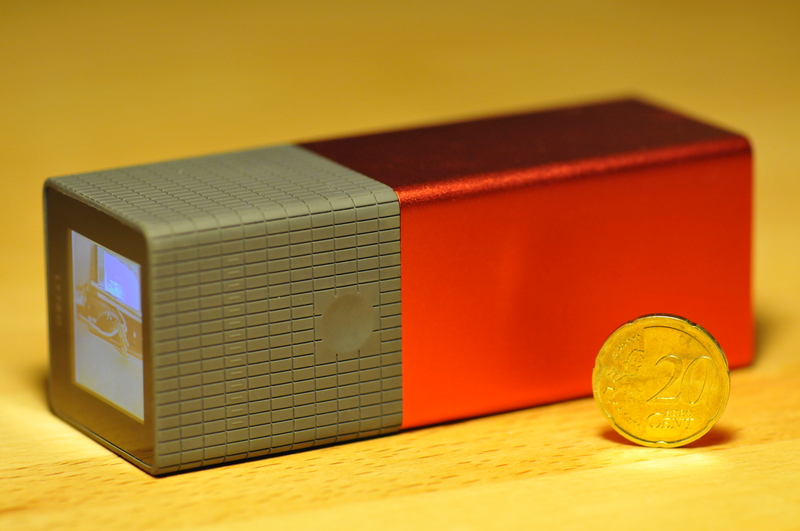 But hey, that might be expanded in future versions of the Lytro software. No picture editing possible (at the moment). The Lytro software is very basic at the moment. You can sort, rate and publish your images, but there is no cropping or adjusting anything besides rotating the images in 90 degrees-steps. 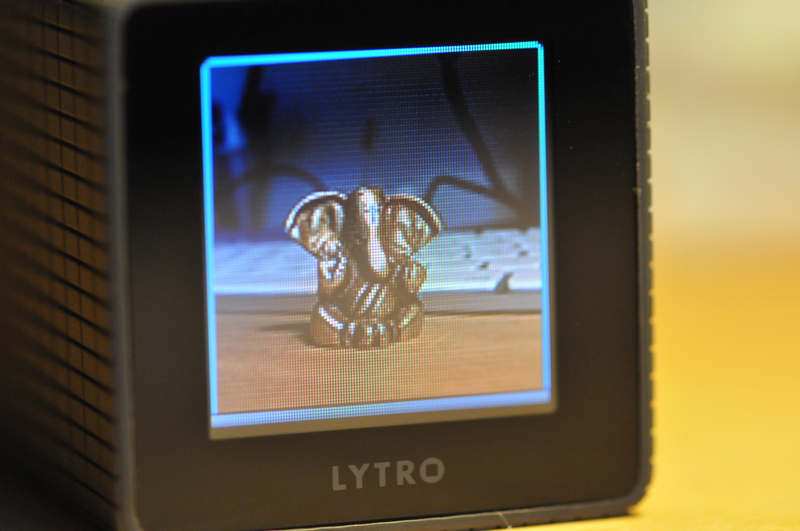 Editing features might be implemented in the future according to the Lytro webpage. Disappointing touchscreen!!! The much I love the camera design, the much I am disappointed by its touchscreen. It is not the size I am complaining about (1,52 inches, 38,55 mm). It is the low resolution, the dependency on the viewing angle and the response to touches. Resolution – low. Look at the images in the slideshow above. I mean, come on ! We live in times of retina displays. 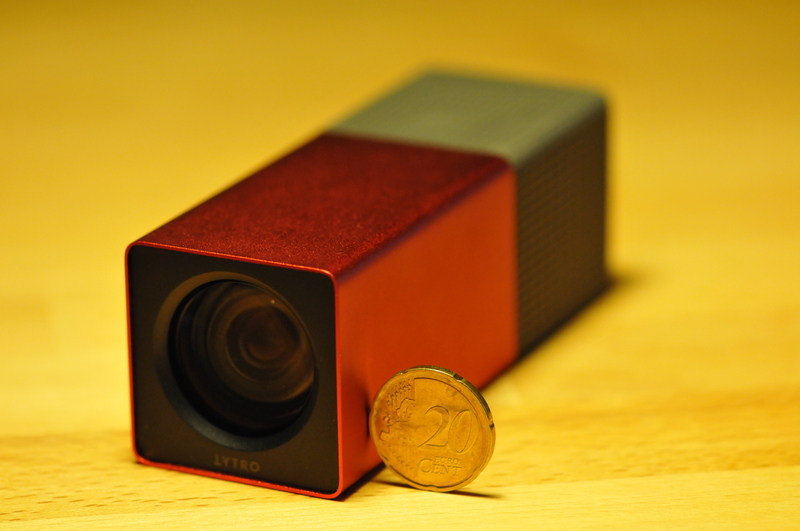 The screen resolution of the Lytro reminds me of a five year-old Nokia 3110 my wife uses. Looking from above or below on the screen is difficult, composing an image while holding the camera low to the ground is not that much fun. And somehow my German Weisswurst fingers do not activate the touchscreen reliably enough. Sometimes I have to tap twice or thrice to get a repsonse. @Lytro Development: Please change this with version 2 of the camera ! Final statement… This first version of the Lytro is fun and games, but in the end it is a geeky toy for tech guys like me. It is not a serious camera in terms that it could replace my DSLR or a pocket camera. It is something different. 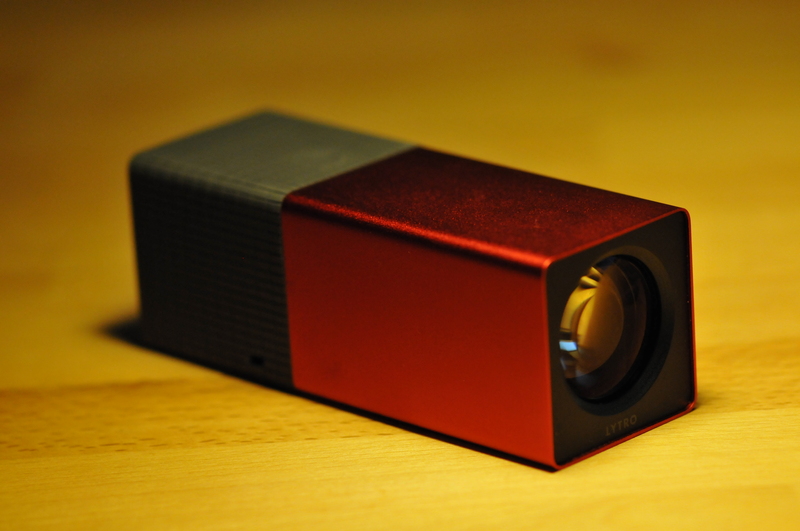 One should see a Lytro as an addition to your possibilities, not as a replacement for something you own already. But keep one thing in mind. Everything I wrote is valid for this first version only! 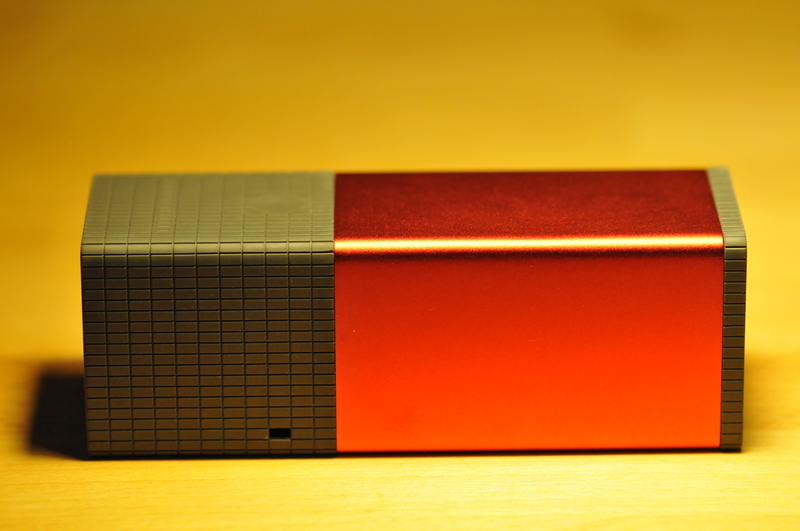 The Lytro company is still young, and technology evolves. Who knows, in 10 years there might be ultra-lightweight mirrorless system cameras with Lytro technology ? Merging the capabilities of today’s DSLRs with the option to create living images? Do you think you’d still use it after a month? I want to buy one, but I’m afraid it’s going to stay on my shelf after a month or so. That is a very appropriate question ! In fact I have not used it after some days of playing around with it. For my personal preferences a Lytro does not substitute a “normal” camera, so I ended up carrying two cameras with me. And I found it annoying switching between two cameras all the time. One should focus only on one camera, especially if you are not on a dedicated shoot but carry the camera with you to take snapshots of a family trip eg. I have to note that in the last two months I was very busy moving to a new city, organising the new home, orienting in the new environment. Playing around with new toys came a little short in the last weeks. Clearly you have a point, but I would not give up on a Lytro. It is something completely new, and its correct “mode of usage” in your photography experience still still to be found). The only thing I can say for sure is that a Lytro does not replace your regular pocket, compact or DSLR camera. Is this useful as a tool for taking photos for news? to take quick photos of happenings without people realizing.